This first panel of the one-day symposium will focus on the resurgence of abstraction in the last several years, particularly in painting. It will investigate what distinguishes these recent experiments, conceptually and materially, from earlier practices, making the case that new abstraction is symptomatic of and bound to the present moment. Bringing together three painters with distinct oeuvres—that have been, at times, linked to the legacy of German painting, or even of Albert Oehlen himself—the panel will consider abstract painting in relation to other contemporary manifestations of abstraction in economics (market speculation), philosophy (anti-essentialist thought, questions around the structure of time, semiotics), digital culture (sampling, rendering), and aesthetics more generally (considerations of form, the notion of style). This panel will hone in on abstract painting influenced by digital imaging techniques, digital technologies, and new/post media theory. Such practices may pose questions about painting or art itself, building on the historical tensions between abstraction and representation, or are incidentally, yet inexorably symptomatic of the expanded possibilities for image-making in recent years. The panel will explore the timeliness of this recent iteration of digital abstraction, with three artists who variously work through issues such as: how gesture, expression, and authenticity might continue to be possible in a contemporary image-based culture; whether our digital era truly produces an ahistorical condition in which images and marks have no specific reference and no relevant point of origin; how structures of and interfaces with digital technologies have necessitated new models for thinking about memory, distribution, and reproduction, as well as degradation, rupture, breakdown, and the void; and how the ubiquity of the screen in all aspects of life has given rise to a renewed interest in the relationship between two-dimensional and three-dimensional space, with a refreshed focus on tromp l’oeil and “topographical” painting. Kerstin Brätsch is an artist working autonomously and in collaboration with others. In 2007 she founded DAS INSTITUT with Adele Röder, and since 2010 she has been working with Debo Eilers as KAYA. Her interdisciplinary practice opens up new perspectives for painting that consider the boundaries between abstraction and the semiotic qualities of images. She weaves a net of art historical references, painterly gestures, and performative elements, investigating painting in the extended field—and its relation to the physical, psychic, psychological, and social dimensions of the body and of space. Alexander R. Galloway is a writer and computer programmer working on issues in philosophy, technology, and theories of mediation. Professor of Media Studies at New York University, he is author of several books on digital media and critical theory, including, most recently, The Interface Effect (Polity, 2012) and Laruelle: Against the Digital (Minnesota, 2014). Maria Lind is a curator, a critic, and the current director of Tensta konsthall, Stockholm. Previously she was Director of the Graduate Program at the Center for Curatorial Studies, Bard College, Annandale-on-Hudson, NY (2008–10), Director of Iaspis, Stockholm (2005–07), and Director of Kunstverein München, Munich (2002–04). From 1997 to 2001 she was Curator at Moderna Museet in Stockholm, and in 1998 she was Co-curator of Manifesta 2. In 2011 she guest-curated the group exhibition “Abstract Possible: The Tamayo Take” at Museo Tamayo in Mexico City. Lind has contributed widely to newspapers, magazines, numerous catalogues, and other publications. She is Coeditor of Curating with Light Luggage and Collected Newsletter (Revolver Archiv für aktuelle Kunst), Taking the Matter into Common Hands: Collaborative Practices in Contemporary Art (Blackdog Publishing), the report “European Cultural Policies 2015” (Iaspis and eipcp), and The Greenroom: Reconsidering the Documentary and Contemporary Art (Sternberg Press). Among her recent coedited publications are Contemporary Art and Its Commercial Markets: A Report on Current Conditions and Future Scenarios, Performing the Curatorial: With and Beyond Art, and Art and the F Word: Reflections on the Browning of Europe, all of which were published by Sternberg Press. She edited the volume Abstraction as part of MIT’s and Whitechapel Gallery’s series “Documents on Contemporary Art.” She was the 2009 recipient of the Walter Hopps Award for Curatorial Achievement. In the fall of 2010 Selected Maria Lind Writing was published by Sternberg Press. Florian Meisenberg’s work investigates the movement of images between the digital and the analog. Through paintings and videos, his work acts as an interface that connects these two realms in an experiential continuum. Meisenberg was born in 1980 in Berlin, and he currently lives and works in New York. He graduated from the Kunstakademie Düsseldorf in 2010. His work has been presented in solo shows at Simone Subal Gallery, New York (2015); Mendes Wood, São Paulo (2014); Kasseler Kunstverein, Kassel, Germany (2014); Kunst aus NRW / Förderpreis für Bildende Kunst, Ehemalige Reichsabtei, Aachen, Germany (2012); Wentrup Gallery, Berlin (2014 and 2012); Tanja Pol, Munich (2012); Wilhelm-Hack-Museum, Ludwigshafen, Germany (2011); Kate MacGarry Gallery, London (2011); and Ludwig Forum für Internationale Kunst, Aachen, Germany (2009). Recently, his work has been included in group exhibitions at Ausstellung in der Sammlung Kunst aus NRW in der ehemaligen Reichsabtei Aachen-Kornelimünster, Aachen, Germany (2014); Museum Kunsten, Aalborg, Denmark (2014); the Queens Museum of Art, New York (2014); Grieder Contemporary, Zurich (2013); Galerie Parrotta Contemporary Art, Stuttgart, Germany (2013); Avlskarl Projects, Copenhagen (2012); Solinger Kunstmuseum, Solingen, Germany (2011); New Talents Biennale 2010, Cologne (2010); Wilhelm-Hack-Museum, Ludwigshafen, Germany (2010); and Kunstverein Langenhagen, Germany (2010). His most recent monograph was published by Distanz Verlag in 2014. Ken Okiishi works in disparate media systems. His works hover over and within relationships between matter and memory, perception and action, and image-networks and language-systems, often confronting our digitally and materially entwined culture with hesitation. Okiishi lives and works in New York. His recent solo exhibitions include: “Screen Presence,” Museum Ludwig, Cologne (2014); Reena Spaulings, New York (2014); “gesture/data,” Pilar Corrias, London (2013); “List Projects: Ken Okiishi,” the MIT List Visual Arts Center, Cambridge, Massachusetts (2013); “The Very Quick of the Word,” the Hessel Museum of Art, Annandale-on-Hudson, NY (2013); “Gino/Marcel Duchamp on Streeteast.com,” Mathew, Berlin (2012); “(Goodbye to),” Take Ninagawa, Tokyo (2012); and “(Goodbye to) Manhattan,” Alex Zachary, New York (2010). His work has also been included in the group exhibitions “Cut to Swipe,” the Museum of Modern Art, New York (2015); the 2014 Whitney Biennial, the Whitney Museum of American Art, New York (2014); Frieze Projects, the Frieze Art Fair, London (2013); “Speculations on Anonymous Materials,” Kunsthalle Fridericianum, Kassel (2013); “Version Control,” Arnolfini, Bristol (2013); “Frozen Lakes,” Artists Space, New York (2013); “Liebe ist Kälter als das Kapital” [Love is Colder than Capital], Kunsthaus Bregenz, Austria (2013); “Perfect Man II,” White Columns, New York (2012); and “The Log-0-Rithmic,” GAMeC, Bergamo (2012). His writing has appeared in Artforum, May, and Bidoun, and a book on his work, The Very Quick of the Word, was published by Sternberg Press in 2014. Josh Smith (b. 1976) is from Knoxville, TN, and currently lives and works in New York. He has had numerous solo exhibitions in the United States and abroad, most notably “The American Dream” at the Brant Foundation in Greenwich, CT; “Josh Smith” at the Centre d’Art Contemporain Genève, Geneva; “Who Am I” at De Hallen Haarlem, Netherlands; and “Hidden Darts” at MUMOK, Vienna. He has also participated in important group exhibitions such as “The Painting Factory: Abstraction after Warhol” at the Museum of Contemporary Art, Los Angeles; “Le Printemps de Septembre” in Toulouse, France; “ILLUMInations” in the 2011 Venice Biennale; “The Generational: Younger Than Jesus” at the New Museum, New York; and, most recently, “The Forever Now: Contemporary Painting in an Atemporal World” at the Museum of Modern Art, New York. His works are in important international public collections, including the Centre Pompidou, Paris; MUMOK, Vienna; the Whitney Museum of American Art, New York; and the Museum of Modern Art, New York. A solo exhibition of his new work will open at MACRO in Rome in June 2015. Mika Tajima employs sculpture, painting, video, music, and performance, often drawing on contradictions in modernist design and architecture to consider how the performing subject (e.g., speaker, factory worker, musician, filmmaker) is constructed in spaces in which material objects outline action and engagement. Tajima’s most recent work extends her interrogation of “the built environment and the maximized performer to the global flow of life energies sought by unraveling systems.” Tajima also works collaboratively under the moniker New Humans, which has included projects with Vito Acconci, Charles Atlas, Judith Butler, and C. Spencer Yeh, among others. 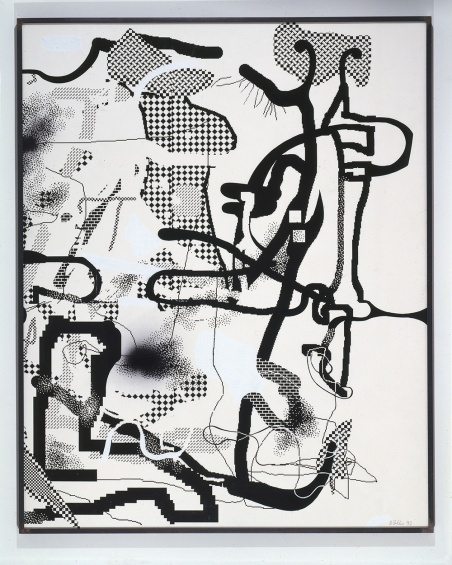 Molly Zuckerman-Hartung (b. 1975, Los Gatos, CA) lives and works in and between different cities. She received her MFA in 2007 from the School of the Art Institute of Chicago. She taught recently at the University of Tennessee at Knoxville, and she is currently a visiting critic at Yale University and an adjunct assistant professor at the School of the Art Institute of Chicago. Her work is included in the collections of the Walker Art Center, Minneapolis; the Museum of Contemporary Art Chicago; and the Booth School of Business at the University of Chicago. Recently, her work has been featured in group exhibitions at Charim Galerie, Vienna, and Fjord, Philadelphia, as well as in the 2014 Whitney Biennial; the Program at ReMap4, Athens; and Shakti at Brand New Gallery, Milan. Her recent solo exhibitions include presentations at Corbett vs. Dempsey, Chicago; Diana Lowenstein, Miami; and Galerie Kadel Willlborn, Karlsruhe, Germany. She was a recipient of the 2013 Louis Comfort Tiffany award, and she is represented by Corbett vs. Dempsey, Chicago. Full support for “Albert Oehlen: Home and Garden” can be viewed here.